Uttarakhand is not just a destination, it is a holy place where lies the faith of many pilgrims. Home to some of the highly revered pilgrimage sites, the state is popularly known for the Chota Char Dham Yatra. The circuit covers four holy temples, Yamunotri worshipping the Yamuna; Gangotri is the abode of Ganga; Kedarnath is devoted to Shiva and Badrinath to Vishnu. These temples hold their own significance and Hindus believe that it is important to take the spiritual journey at least once. Plan your Char Dham Yatra 2019 with Indian Holiday and fill your heart with peace and warmth. Our 10-day itinerary takes you around the 4 Dhams which open your door to salvation. 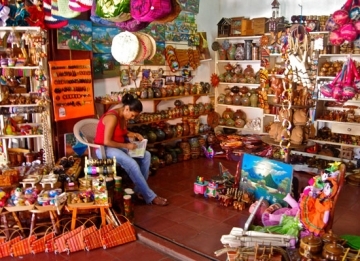 Besides, the tour also covers nearby tourist attractions for a memorable experience. Enjoy a tour to Mana Village, Brahma Kapal, Bhim Pul, Mata Murty Temple, and Vyas Gufa. Arrive at Haridwar Railway Station where our representative will guide you for the road trip to Barkot via Mussoorie. Guests can choose to stop by at Kempty Falls for a dip, buying souvenirs and lunch. The journey resumes and after a few hours you will reach Barkot and will be escorted to the hotel. Check-in and relax as the Yatra of Yamunotri will begin on day 2. Barkot is a quaint town blessed with the wonders of nature. 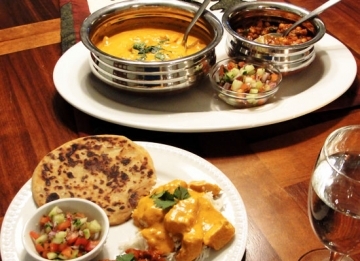 Snuggled on the banks of River Yamuna, it sits at an elevation of 1220 m above the sea level. The place comes in as a relief for travelers who need an escape as the view of Bandarpoonch and other hills are magnificent. You can choose to go out to spend time as the weather remains pleasant. Rise and shine as the day to go take blessings at Yamunotri has come. Leave early morning for the drive to Phoolchatti/Jankichatti from where the trek covering 6 km will commence. The same stretch can be covered by walking, horse or doli. The emerald valley dotted with conifers, cacti, rhododendrons will cheer you up along the way. Yamunotri is one of the most spiritually blessed shrines which is also a part of the Char Dham Yatra. 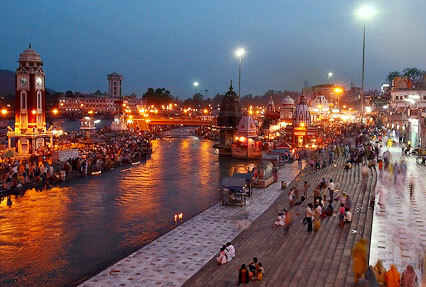 It is here that the River Yamuna flows down, also known as the daughter of Sun God, Surya. The Yamuna is also the twin sister of Yama, the God of death. The river actually flows from the Champasar Glacier which is 1 km ahead of the revered shrine. Moreover, Bandarpoonch acts as a beautiful backdrop for the temple. Pilgrims often visit the Surya Kund, the hot springs before going to the temple. They carry rice in a white cloth which when dipped in the kund gets cooked. 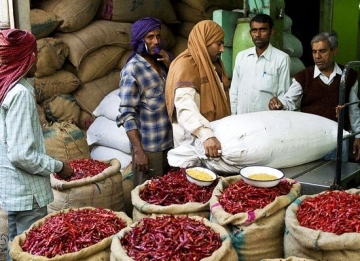 The cooked rice is taken home as Prasad. Besides, pilgrims take a bath in the Jamnabai Kund and go to worship at Divya Shilla. Seek blessings of the holy Yamunaji. Later return to Jankichatti and then Barkot. On this day you will be heading out to the next destination, Uttarkashi. On arrival, pay homage to Vishwanath Temple and Shakti Temple. After that make way to the hotel and relax for rest of the day. 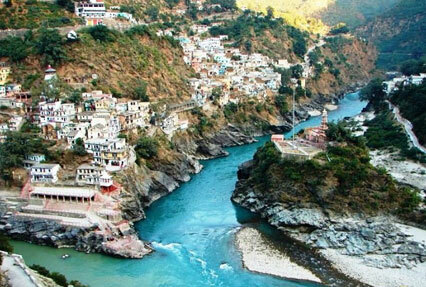 Uttarkashi or Kashi of the north, this town is a blessing for devotees as it possesses a number of temples and ashrams. Along with that, it also shelters the Nehru Institute of Mountaineering. 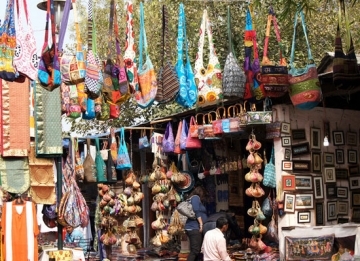 The town takes pride in resembling Varanasi, as it plays in the lap of Ganges but also lies close to Varun Parvat. This hill lies on the conflux of two rivers Asi and Varuna. The weather generally stays hot during summers, which makes up for the real test of your devotion. Moreover, the town is popularly known for one of the oldest Lord Shiva temples, by the name Vishwanathan. The temple finds its place on the banks of River Bhagirathi and is believed to be built by Sage Parshuram. The shrine was later revamped in 1857 by Maharani Khaneti, wife of Sudarshan Shah. The idols of Goddess Parvati and Ganesha are installed along with the shivling. The shrines of Rishi Makandeya and Sakshi Gopal are also present here. Just opposite stands the Shakti Temple which revers the name of Goddess Parvati. The main attraction is the Trishul or trident which is believed to be thrown at devils by Goddess Durga. It is believed that the trident is 1500 years old and is a symbol of Indo-Tibetan culture with Tibetan inscriptions on it. Begin the journey of day 4 by driving down to Gangotri. On the way take a holy dip in Garam Kund at Gangnani. After that proceed to the temple, the next pilgrimage site on the Chota Char Dham route. The panoramic views of the Harsil Valley will fill your heart with joy. The valley is known for bringing together a never seen before view of Deodar trees and the soaring peaks. As soon as you reach Gangotri, take a dip in the holy Ganges River. Bow your head and seek blessings from the Goddess. Gangotri Dham is one of the holiest shrines in Uttarakhand that applauds the Goddess Ganga. 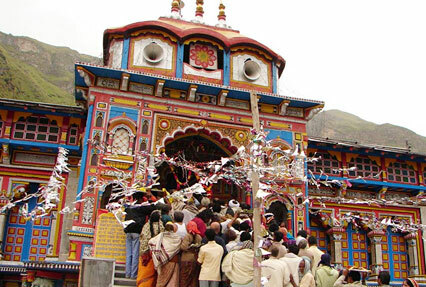 The holy temple is visited once pilgrims have been to Yamunotri on the Chota Char Dham Yatra. Legend has it that, the Goddess Ganga descended in the form of a river to wash off the sins of King Bhagiratha's predecessors upon his severe penance. Moreover, it was in the 18th century that the temple was constructed by the Gorkha General Amar Singh Thapa on the right bank of River Bhagirathi. 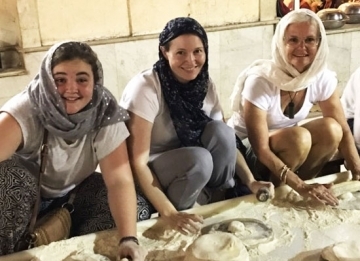 Further, even though the sacred temple is the main highlight of the town, there are places to visit nearby like the Kedar Ganga Sangam and Submerged Shivling. Later proceed to Uttarkashi for night stay. As the sun rises, you will be driving straight to Guptakashi by Moolgarh and Lambgaon. On the way, you can capture the scenic view of Mandakini River at Tilwara. The river comes all the way from Kedarnath. Upon arrival, check-in at the hotel and unwind. Later in the evening visit the Ardh Narishwar Temple. Guptkashi is popularly known as the town which is linked to Pandavas of the Hindu epic, Mahabharata. The meaning of Gupt Kashi is Hidden Benares (Varanasi) and is considered equally holy to the city in Uttar Pradesh. As per various mythologies, it is believed that after killing their brothers in the Kurukshetra war, the Pandavas were looking for Lord Shiva. They wanted to seek pardon and pray to the deity, but Shiva hid in the form of a bull at Guptkashi. Upon searching for him, Bhima, one of the Pandavas found the bull and caught it. However, Shiva fled from there and appeared in Kedarnath. Furthermore, it is said that the Kedarnath pandas reside in Guptkashi during winter when the temple is closed. 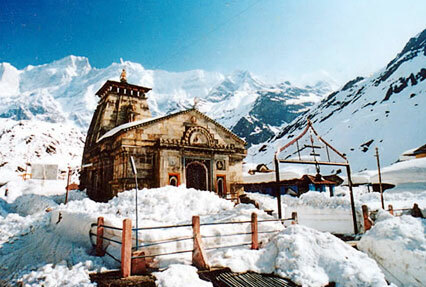 The image of Kedarnath is then taken to Ukhimath via Guptkashi for winters. Once your medical check-up is done, you will proceed to Sonprayag on day 6. The trek from Sonprayag to Kedarnath is 19 km, which can be covered by pony or palki. It is advised that the guests should carry medicines, toiletries and warm woolen and clothes for the overnight stay at Kedarnath. Pay regards at the Kedarnath Temple. Settled in the Garhwal Himalayan range, Kedarnath Dham is hallowed as one of the holiest pilgrimage sites for Hindus. It is the abode of Lord Shiva and is a part of the Chota Char Dham Yatra in Uttarakhand. Moreover, the shrine is one of the 12 Jyotirlingas (holiest Hindu shrines of Shiva) and the most important among the Panch Kedar. If we go by the legend, it is said that the Pandavas after defeating the Kauravas in the Kurukshetra war, were in deep grief for killing their brothers. After which they left their kingdom to their kin and went in search of Lord Shiva. On the other, the Lord was eluding them and hid in the form of a bull in the Garhwal Himalayas. Bhima spotted the bull and immediately recognized the bull to be Lord Shiva and caught him. The deity disappeared in the ground and rose up in five different forms. The hump surfaced in Kedarnath, face in Rudranath, navel, and stomach in Madhyamaheshwar, the arms in Tunganath, hair, and head in Kalpeshwar. The Pandavas built temples at these five places which are known as Panch Kedar. Get up early in the morning and take a bath as after that you will be going to Kedarnath Temple for the Abhishek pooja. All the pilgrims can enter the Garbha Griha and bow your head in front of the idol and pay your obeisance. Post the darshan, trek your way down to Sonprayag. From there you will be escorted to Guptkashi. On day 8 you will be going to Badrinath via Joshimath, the last dham on the Chota Char Dham Yatra. The popular shrine is set at an elevation of 3,133 m and takes shelter between the Nar and Narayan mountains. And that's not all, the even famous Neelkanth peak set in the background makes the view gaze-worthy. Moreover, as per saying it is believed that this place had wild berries blooming here which gave Badrinath its name. Before entering the temple, pilgrims take a bath in the hot water springs of the Tapt Kund, on the banks of Alaknanda River. Just close to the kund, you can see a pool formation. It is believed that the idol of Badrinath was recovered from here. Not to mention that there are other sacred places that surround the temple. Sheshnetra Ashram which is where Lord Vishnu took shelter and imitates the legendary serpent. Brahma Kapal is a platform set on the banks of Alaknanda River where Hindus perform rites for their ancestors. Also, get blessings from the mother of Sri Badrinath at Mata Murty Temple. In additions, the town is also known for its panoramic beauty, where the mountains add more charm. Travelers visit Mana, the last Indian village before Tibet. Bhim Pul, a large rock which forms a bridge over the glistening River Saraswati is another famed attraction. Vasundhara Waterfall is a blessing in disguise which rejuvenates the soul. Vyas Gufa is an equally popular tourist place which is a rock cave where Ved Vyas wrote the Puranas and Mahabharata. Early in the morning proceed to Tapt Kund for taking a bath. After that make your way for darshan at the Badrinath Dham. Also known as Badri Vishal, this shrine is one of the five forms of Lord Vishnu. After spending some time at the temple, drive back to Rudraprayag/Kirtinagar by Joshimath. This town sits on the conflux of Alaknanda and Dhauliganga Rivers and is known for its spiritual importance and natural beauty. What's special about Joshimath is that it is the winter abode of Lord Badrinath and is among the four 'Maths' established by Adi Shankaracharya. The doors of Joshimath are open to pilgrims in winters who want to take blessings from the divine deity. Upon your arrival in Rudraprayag/ Kirtinagar, complete the check-in formalities as you will staying here for the night. This day you will be heading out to Rishikesh, also known as the 'Gateway to Garhwal Himalayas'. It is one of the holiest places for Hindus from where the River Ganges flows through. According to legend, Lord Vishnu appeared in the form of Lord Hrishikesha as a result of the penance of Raibhya Rishi. When here, guests can visit the ancient temples, and attractions namely Laxman Jhulla, Triveni Ghat, Ram Jhulla and Shivnanda Ashram that are tucked to the town. After the tour, transfer to Haridwar Railway Station. Meals- Daily Breakfast & Dinner. All Transfers and Sightseeing as per the Itinerary by a Sharing Non Air – Conditioned Tempo Traveller/ Similar. 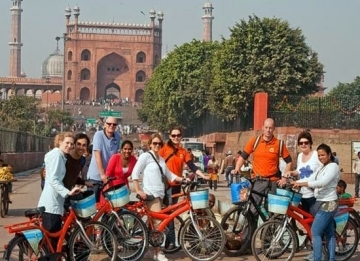 This is a Group Sharing Package therefore arrival- departure and sightseeing will be provided in sharing Vehicle.